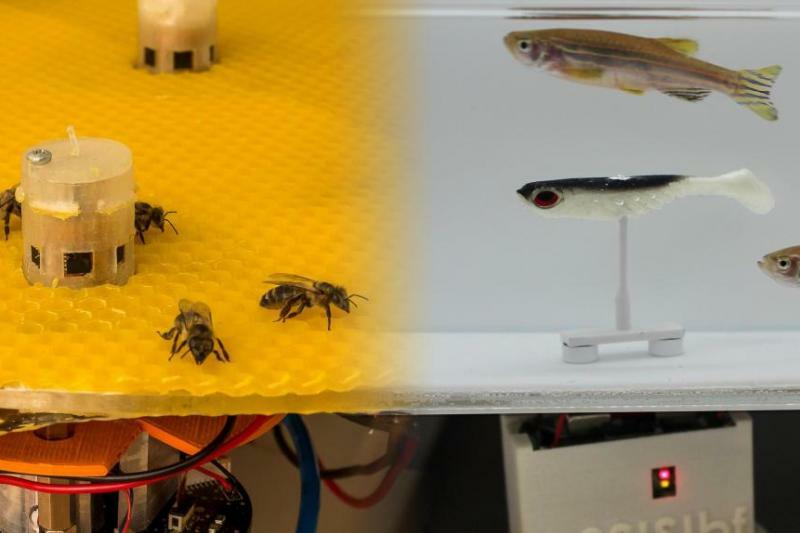 March 21 (UPI) — Bees and fish can now converse with each other thanks to new robotics technology designed by researchers in Europe. “We created an unprecedented bridge between the two animal communities, enabling them to exchange some of their dynamics,” Frank Bonnet, a robotics engineer at the Swiss Federal Institute of Technology in Lausanne, or EPFL, said in a news release. Previously, researchers at EPFL’s Mobile Robots Group have designed and deployed “spy” robots that blend in with groups of animals. Most recently, the team used a robot to infiltrate a school of zebrafish and influence its swimming direction. In Austria, groups of bees naturally swarm around a pair of robot terminals inside a large container. Scientists used the terminals and fish spy to deliver signals and influence the different groups’ behavior.